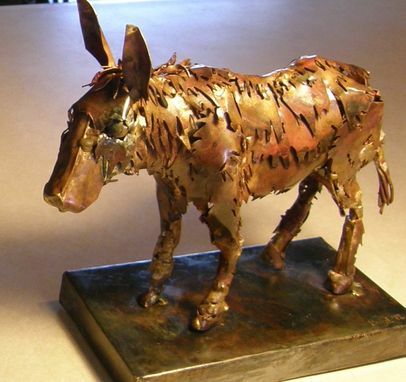 Donkey sculpture made of copper and brass. 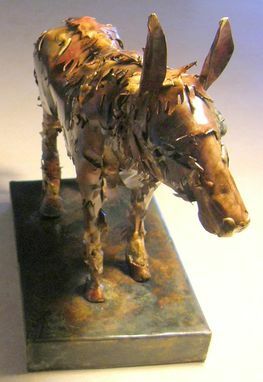 If you would like to order this sculpture, please send me a conversation first. This sculpture is sold, but I can make another in this size or any size you like. All my work is made by hand, in my studio. These are signed originals. 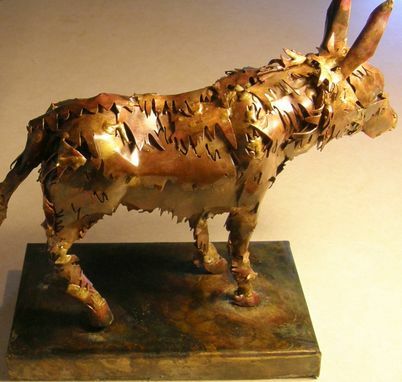 I cut sheets of copper and braze them together to form the animal, treat it with patina and lacquer it, then mount it on a finished wood base. 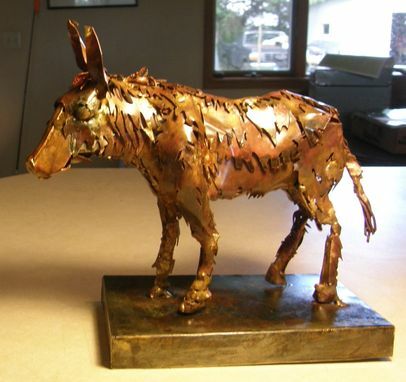 I love animals and am so happy to be making these new pieces. I will soon be creating a pair of otters playing, and plan to make many more of these wonderful wildlife sculptures. If you would like to make a special order for any animal in any size, please feel free to send me a conversation. Thanks!